OST PST Viewer is a free tool created to help you open PST and OST files without connecting it to Outlook. 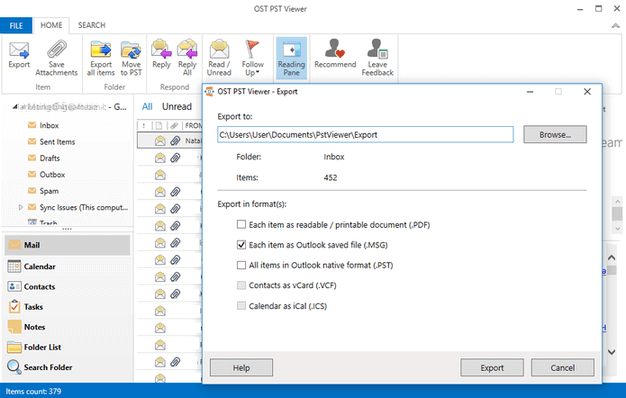 Our OST and PST files viewer can open Outlook files without Microsoft Outlook installed. View Outlook emails, contacts and calendars in a few clicks. OST PST Viewer PRO is not just a viewing tool, it has more advanced features, such as emails conversion to MSG. OST PST Viewer also lets you import files in OST and export it or save selected data in a PST file format.